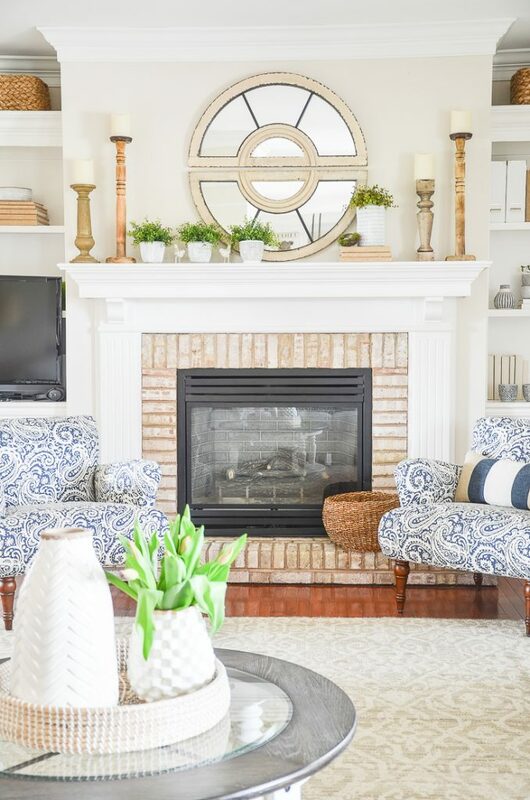 Creating a focal point in a room is so easy and with just a little design know-how will change the entire look of a room. A focal point is one of the basic elements of design! 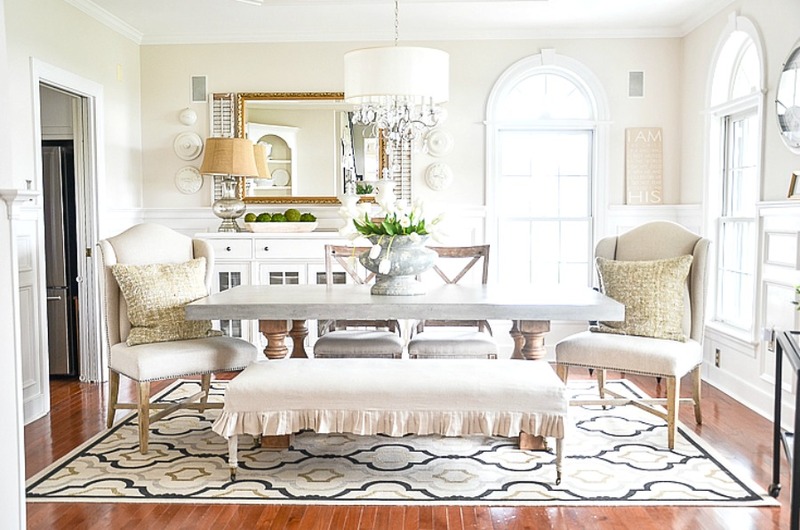 Beautiful, appealing rooms have a focal point. 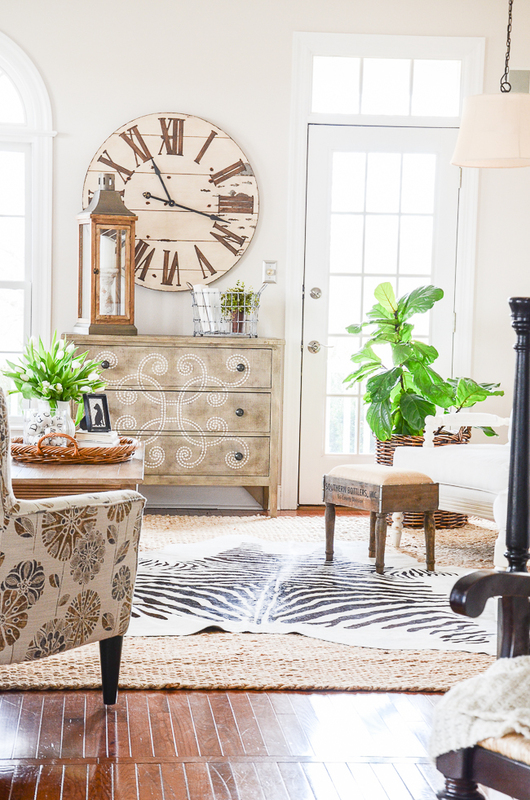 Here are the basics for this standout design element! 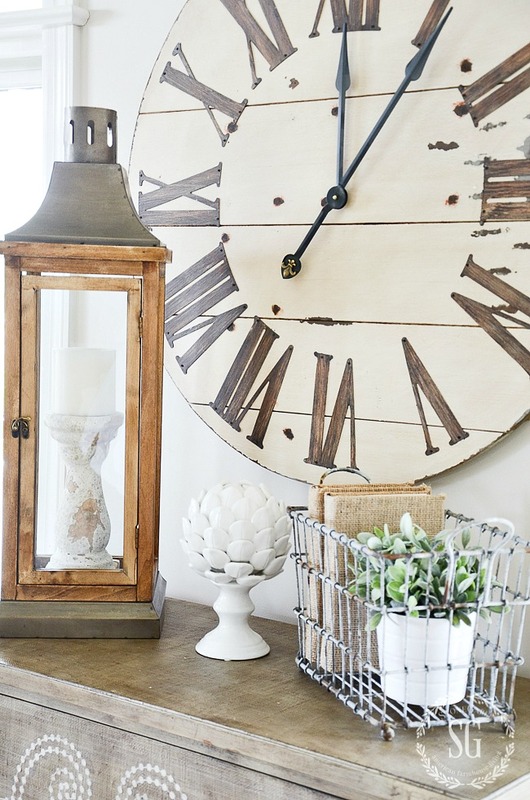 In our series of 7 ELEMENTS OF DECOR focal point is number four. Here at StoneGable, every room has a focal point! For awhile I struggled with the living room because it really did not have any “built-in” focal point. I learned that creating design element for a room is simple. It was really a place to show off my personality! Easy- peasy! 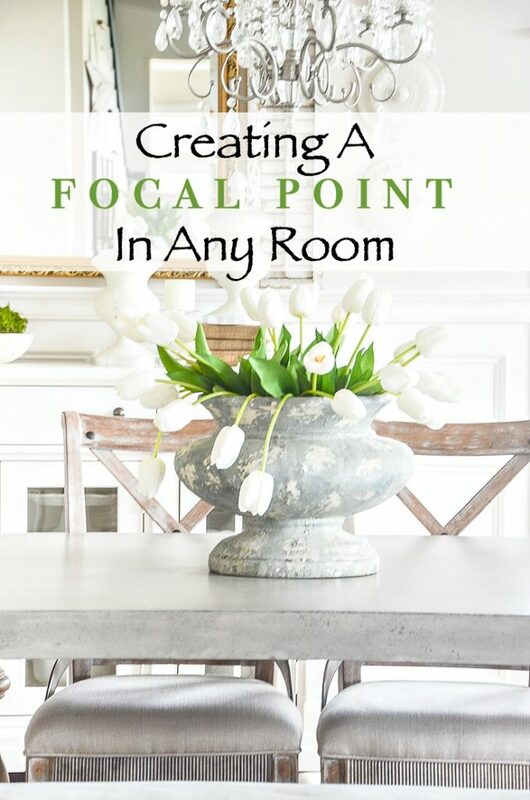 A focal point is one of the most basic elements of decorating. 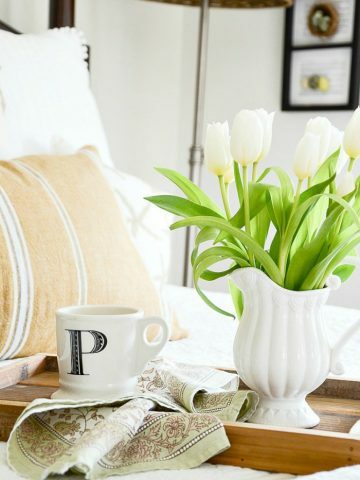 Even if you do not know you have a focal point in each room of your home you probably do to some degree or another! However, it is very important to not only be aware of focal points in your home but to enhance them as well. Think of the actors in the Shakespeare play Hamlet (I love this play). Hamlet is the star of the play and the rest of the cast are supporting actors that move the plot along. Your focal point is Hamlet! Everything else in a room are supporting actors! 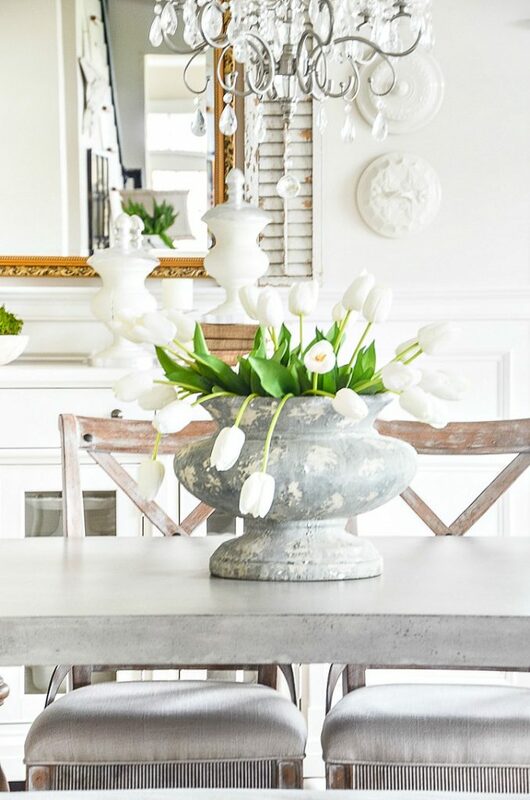 A focal point is something in a room that draws our attention in a big way! It is ideally the first things we see when we enter a room and is directly across from the room’s entrance. It should be the big attention grabbing thing the rest of the room is built around. A focal point helps to give our eyes a place to start as they travel around a room so we can enjoy the rest of the decor in a room. And the rest of a room should work and play well with its focal point! It’s really a VERY important, yet simple decorating element! Not every room this a built-in design element. Sometimes it’s better to create one of your own. That way you can position it to be the first thing seen when anyone walks in a room. This is a decorating no-brainer! 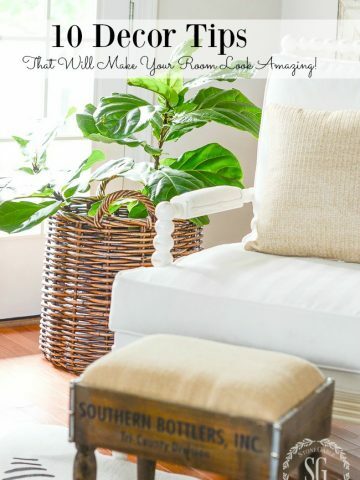 Easy to create and a must in every room. Check each room in your home and make sure it has the very important focal point! Beautiful photos! 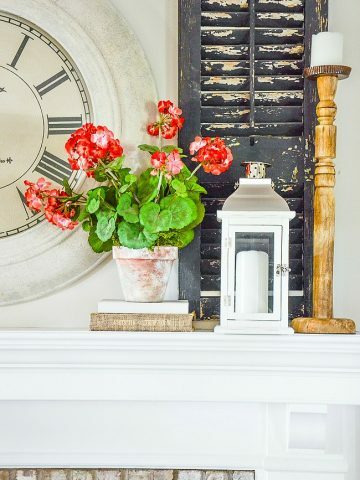 I love creating vintage vignettes with lots of treasures but it is important to have a focal point or things get too cluttered and the eye doesn’t know where to land. Great tips! Love these tips and tricks. My Wee Abode has a focal point as you enter the room from one side, and then another from the other side. 😉 I’m listening to you, my friend! Shelia, it’s hard for me to say without seeing your room. But here’s my best advice… what is the first thing you see when you enter the room? That is your focal point. Embellish it and make it fabulous! If it is the tv don’t make that the focal point. Choose something else. Hope this helps. I so enjoy your blog! Could you tell me, what in the pictures above, is the focal point? I think everything looks pretty but there are many things, just like in my home, that draw the eye and I’m not sure which thing is the focal point. Although there are many things in a room, a focal point is the first to catch your attention. For instance the fireplace, the urn on the dining room table with tulips and the clock and chest in the living room. Hope this help. I think it would be good to address how to deal with multiple focal points in the same space. With open concept areas there is a lot going on by sheer necessity and it can be overwhelming. Our main living area has a wall of windows with a beautiful view, however there is also a fireplace and a dining room table. There are additional pieces of furniture, a buffet, 2 small cupboards, etc plus a coffee table that I like to decorate. Ideally, there would be less furniture but there is a need for both storage and secondary lighting in this small space. I know that there must be others out there struggling with this especially those of us that have downsized to either smaller homes or condos with open concepts. Open concept areas should be “divided” up into living spaces. And each living space should be treated as a “room’. Use the tips for focal point above. The biggest mistake open concept decorators make is adding too much furniture. Less is actually better. Such a pretty mantle. Every photo became a focal point to me. Makes me want to start over in every room! Kim, I can’t tell you how many times I have started over! LOL! What is your opinion of swag curtains? Are they outdated? 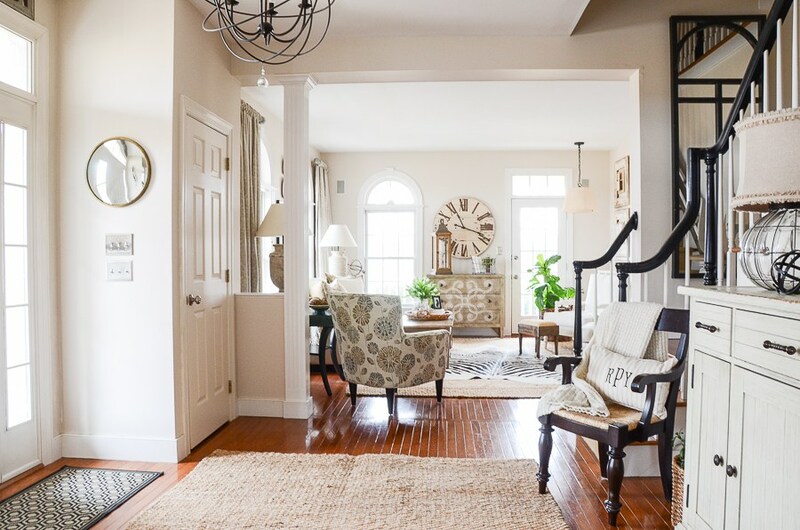 I have a classic, updated colonial home and have always loved this style in updated fabrics. Hi Robin, great question. Right now, heavy, embellished laden curtains are outdated. However, I always say use what YOU love. I”m seeing lots of very simple almost ceiling to floor straight curtains in pretty, yet simple fabrics. I just got white linen curtains for my living room. Also, rattan blinds and other natural fiber blinds and shades are very on trend. If you have any architectural elements or things like wainscotting and shiplap on your walls sometimes curtains are sensory overload. Hope this helps.